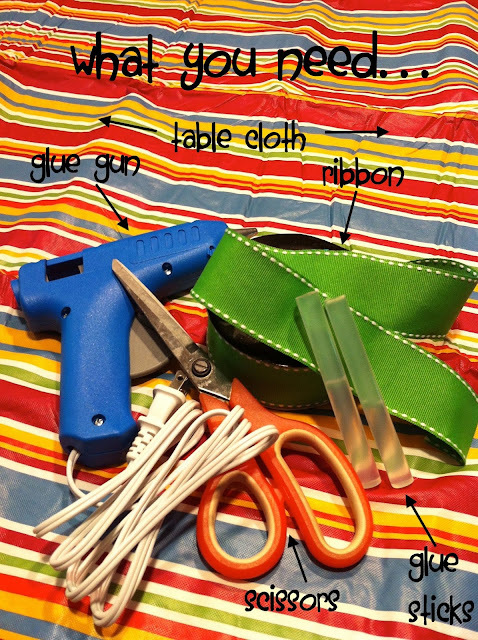 ahorasoyuncronopio: DIY: Cute, cheap, no-sew cubbie curtains! Originally, I looked for sales on fabric. I thought it was possible that I could come across something that would fit the colors/style I wanted and not pay a fortune for it. It seemed like everything I found was the right colors, but the wrong style or the right style, but the wrong colors, or the right style/colors, but the wrong price. In the end, I found nothing. I thought about using bed sheets. So for a while, I looked for cute sheets that might serve as curtain-like material. However, aside from thick cotton sheets (which all seemed to be solid colors and more costly) sheets were generally too thin to create the appearance I really wanted. So, again, nothing. Finally, the idea crossed my mind... What about table cloths?? 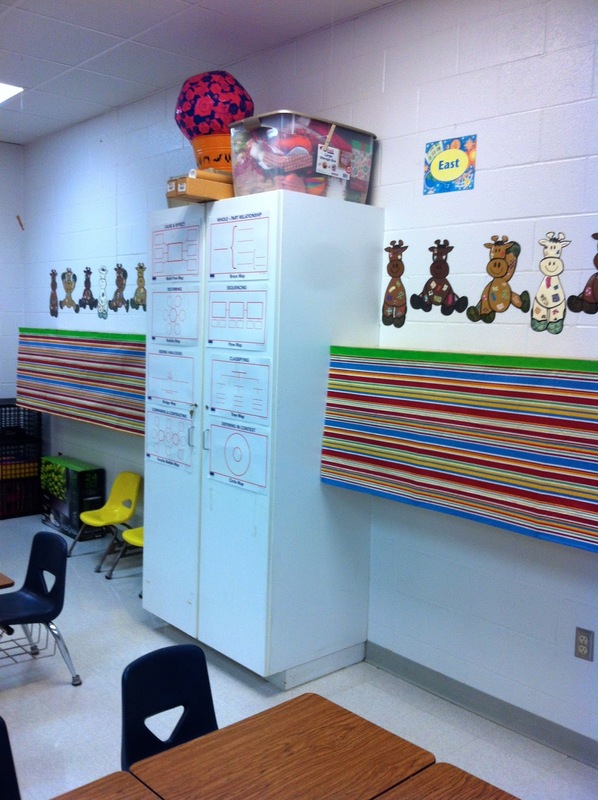 In my first visit to Wal-Mart, I found a striped vinyl tablecloth that contained colors that would fit my classroom nicely, and an 84-inch cloth cost just under $5. Based on the width of the tablecloth (60 inches), I thought I could fold it in half and actually make two strips of curtains, both of which would be 84 inches long, using only one of those table cloths and spending less than $5 on the material. I picked up two of those tablecloths, for good measure. 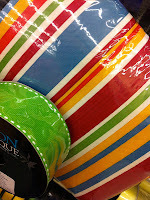 During my next visit to Hobby Lobby, I found a cute ribbon to use as trim. You know, Hobby Lobby offers great half-off sales on ribbon. Two spools for $3.99 isn't bad at all. 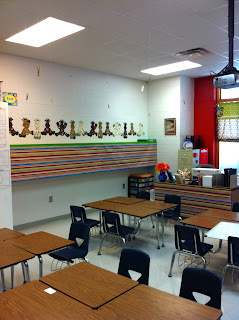 That brought my total cost for the curtains to under $15.00. Some of you may think I'm extremely cheap. Others, teachers, will understand that a classroom is a costly investment, and any venture that costs less that $15 and adorns an entire wall of cubbies is just a blessing. 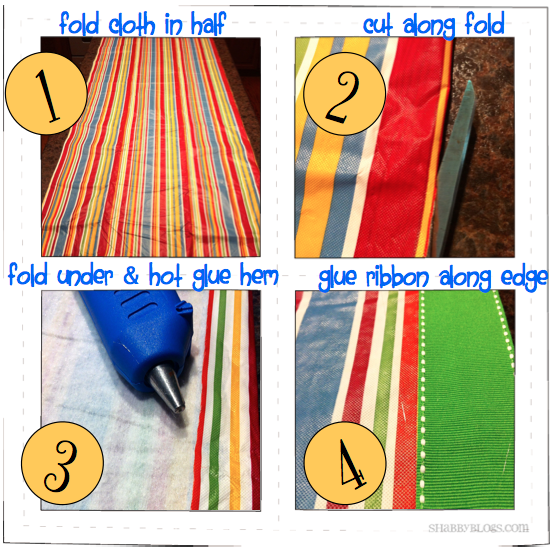 Follow these four simple steps to create your own cubbie curtains!